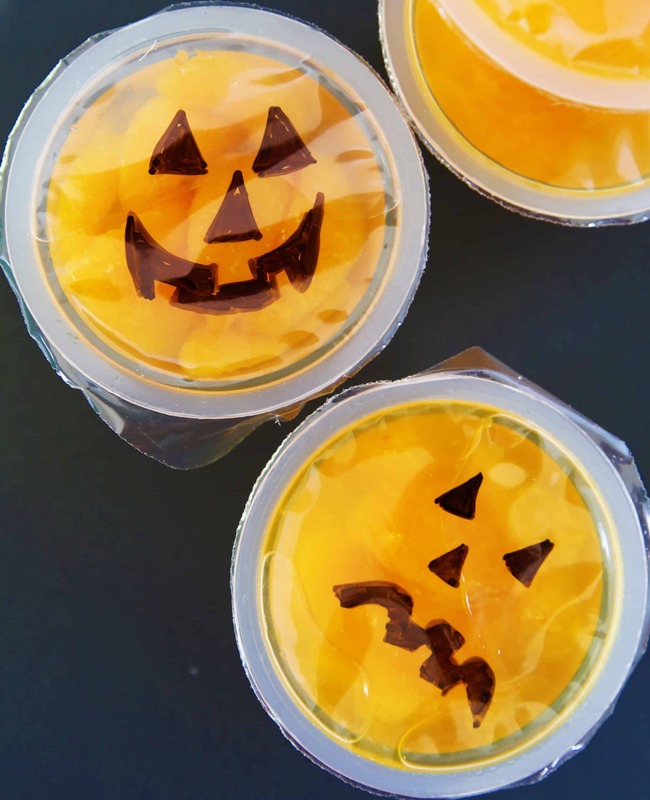 If you are needing some quick and easy treats for Halloween, these can be made in no time. Your child can even make them for all their friends. 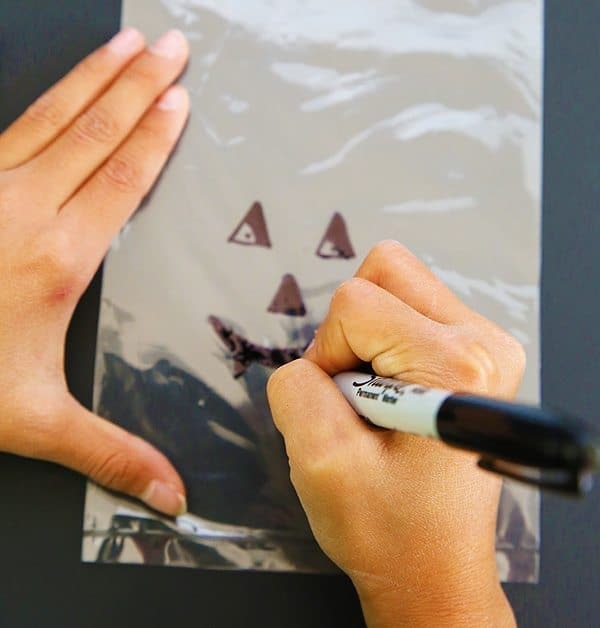 Draw a jack o’lantern face on a clear plastic cellophane treat bag. 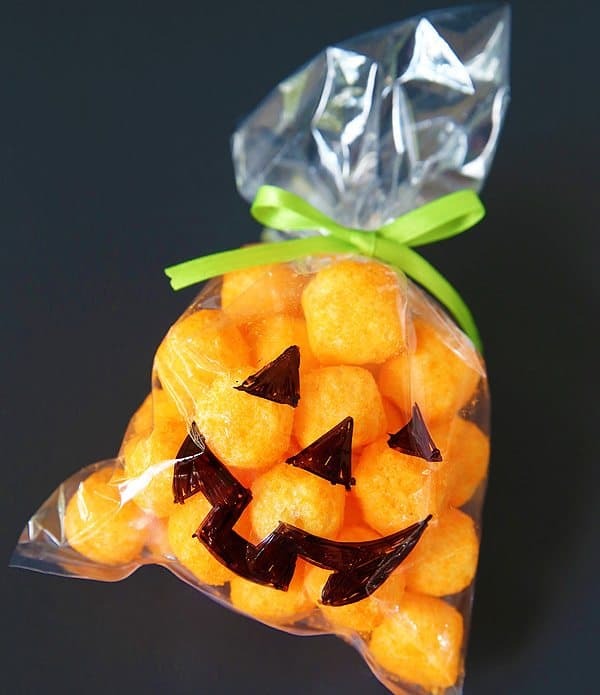 Fill with orange colored goodies (cheese balls, gold fish crackers or carrots). Tie top with a green ribbon or twist tie. You’ll have a whole pumpkin patch in no time! It isn’t any easier than drawing a face in Sharpie marker on the top of a fruit cup for this darling snack. 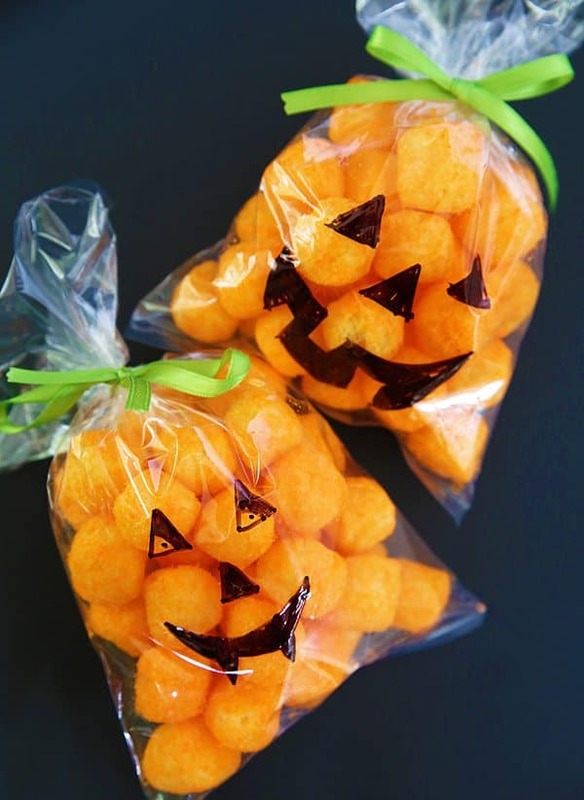 This makes for a cute and healthy Halloween treat! 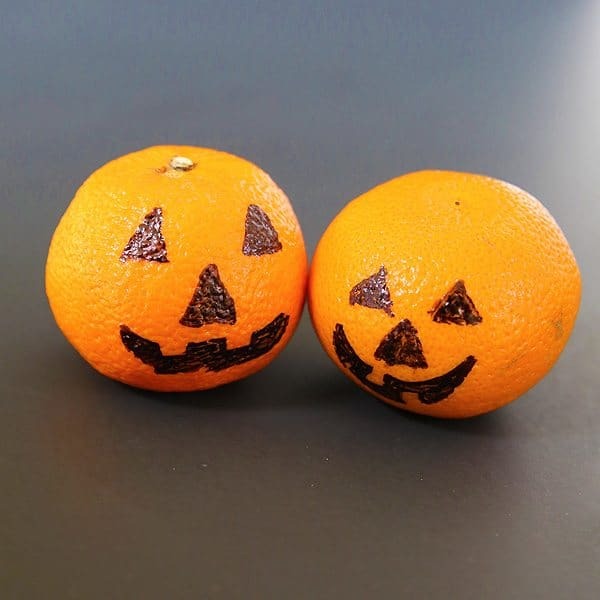 Another healthy treat are oranges turned into to pumpkins! 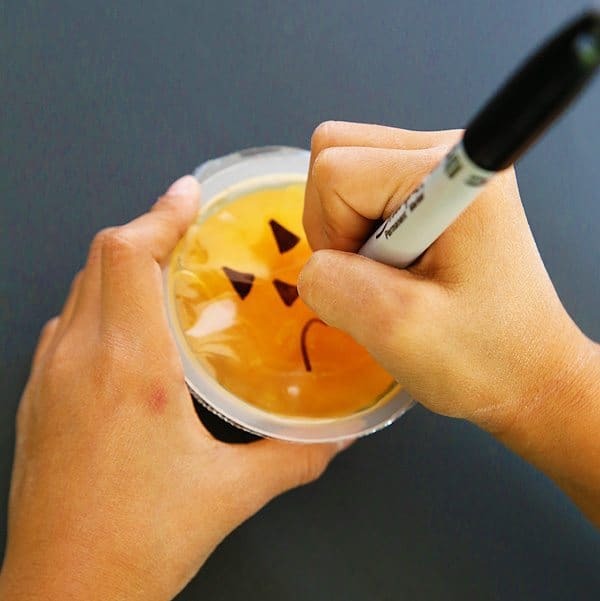 Draw a face on the side of the orange with a food-safe black marker. Allow marker to completely dry before transporting the oranges. Sharpie on an orange? Isn’t there a possibility that might go through the rind? Ew. That’s a great point. The safer alternative is food markers. Will make the adjustment. Thanks! The cheese ball idea covers the category my son got for his school party. What a great idea. 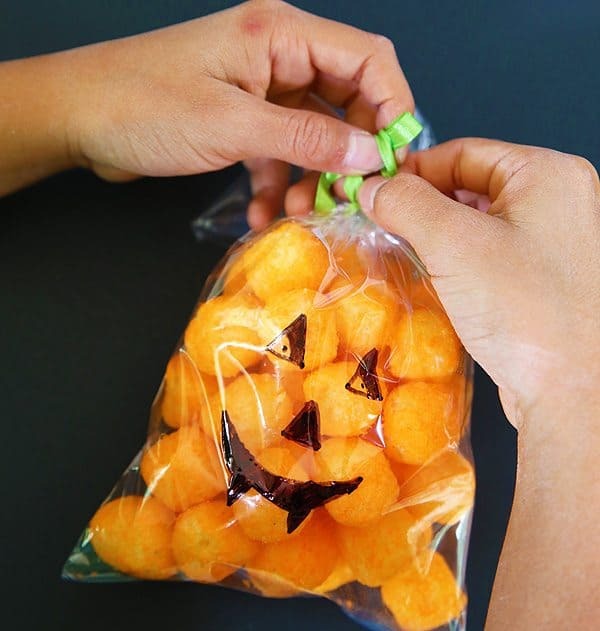 10 Clever & Easy Halloween Lunch Ideas for Kids - So Festive!